Like most children in West Virginia in the 1920's, Mollie Cutright enjoys her independence. She roams the woods of her small town with her best friend Howard Flynn until sunset everyday, but comes home for bruises instead of supper. The townsfolk of Buckhannon have always turned a blind eye to the cruel treatment from Mollie's parents. To cope with the abuse, Mollie seeks solace in the woods and with Howard's kind family. At night in her dreams, Mollie meets new friends and a new family; a family she desperately wishes she could be a part of. The dreams are as vivid as the life she lives when she is awake, and at her young age the two begin to blend together. Mollie's mother is made aware of Mollie's odd behavior at school when she starts speaking of students who don't exist. Humiliated by her behavior, Mollie's mother takes her to the local psychiatric hospital for a day to scare her straight. Suddenly the small town of Buckhannon shows an interest in Mollie Cutright. Through the constant teasing from her schoolmates, two things remained: the dreams and her best friend, Howard. By the time Mollie is seventeen, her dreams are a significant part of her life, and the biggest secret she has ever kept. After returning home from Elouise, a school for troubled girls, her mother finds evidence that Mollie still has the "imaginary friends" she had at seven years old. A permanent stay at the psychiatric hospital is her mother's solution. 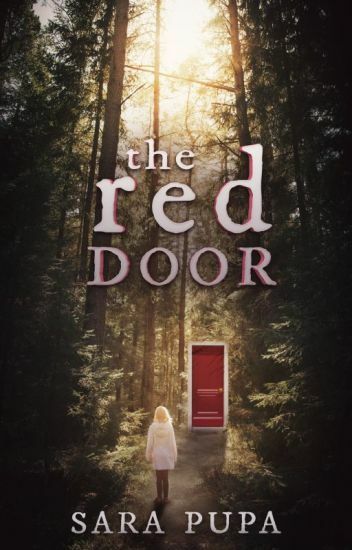 At Weston State Hospital, Mollie finally finds an explanation for the dreams she has been having for the past 10 years, but is also faced with one of the most difficult decisions of her life. Ella is an Edwardian Cinderella with an undead problem. Seth deMage, the new Duke of Leithfield, has returned to his ancestral home with a mission from the War Office -- to control the plague of vermin in rural Somerset. He needs help; he just didn't expect to find it in a katana-wielding scullery maid. Ebony Winters wasn’t a princess. Nor was she a heroine. She was just a girl from an ordinary village. But when a mysterious old man convinces her to travel through the Forbidden Forest her life is changed forever. She is sent on a mission with a three day deadline to recover a lost prince and help him navigate through the perilous and treacherous forest to the castle of the Evil Queen so he can kill her, reclaim his throne and bring peace and happiness to the kingdom once again. But the forest is full of dark and dangerous things. Creatures prey on the innocent and danger lurks around every corner. The Queen has sent her own beasts after them  and along the way has placed challenges to stop the Prince and Ebony from reaching her castle in time. Can Ebony and the Prince survive the journey or will the forest destroy them and let the kingdom fall deeper into destruction under the Evil Queen’s rule? 97 years ago, when the earth was ravaged by a nuclear apocalypse, twelve ships escaped to space and joined together as one. Jaya was sent down to Earth along with 99 other juvenile delinquents, a test to see if the ground is survivable. But when Jaya is captured by the grounders, her choices have an enormous impact on not only the lives of the 100, but on the future of mankind. Join Jaya and her friends as they fall in love, fight through pain, and overcome many obstacles in an effort to survive. Disclaimer//I do not own "The 100"or the characters from the show. I do own Jaya, Kyrus, Onyx and Nala. Just a lot of random art shiz. Includes Sonic, Mario, Miraculous Ladybug, other video games, anime and a whole lot more. "You can't kill me. I'm your mate," I spoke. He gave a short, deep chuckle. "There's no such thing as werewolves or mates. I can do whatever I please to you. No one is going to stop me - no one is going to save you." "Even though I may be a Prince, I'm just like you. You learned fast to respect me as a person, and you didn't even care when I told you what I was, Luce, that's why I want you to stay." Kovya Karazamova, the storyteller's daughter, has many names. Soldier. Tretyak. Heretic. But there is one that they are afraid to say, one that they whisper in the dark with shivering tongues and trembling limbs. There is a creature who wears the skin of a girl, who plucks faces from the minds of people and spins shadows into things, with greedy fingers and a scorned heart. The Face Thief, they call her. And even the trees scream of her sins. In a world where mermen are considered inferior shifters, they are out casted by all others. Others have allies, mermen have their own backs because no one else is willing to. Until they're called in for help. When dead bodies start turning up at sea, mauled by what look like Lycan claws, the Lycans desperately turn to the entrancing shifters of the sea. The bodies are turning up in their territory and with fingers getting pointed at the Lycans, they need help of the mermen to figure out who is doing the murders to clear the Lycans name. Madison finds herself knee deep in Lycan drama when her father volunteers her to work with the Lycans. What she didn't anticipate was Seth and his pack.